Anker’s PowerPort 2 Elite is the travel-friendly version of your favorite USB charging hub, and here’s a rare chance to get it for under $10. The PowerPort 2 Elite includes folding plugs (which snap in place with a very satisfying click, for what it’s worth), 4.8A of power split between the two ports, and even a light that lets you know when your devices are finished charging. Whether you’re singing in the shower, blasting music at a pool party, or catching up on podcasts at the beach, this IPX7 water-resistant Bluetooth speaker can go with you anywhere. It’s listed at $40, but promo code AOMAISF1 will knock that down to just $18 today. Range extenders aren’t a cure-all for your home network, but if you have one or two spots in the house that just don’t get good reception, these are an inexpensive way to fill in the gaps. This model from TP-Link has great reviews, and at $35 (after clipping the $5 coupon), it’s never been cheaper. Whether you have a home improvement project on the horizon or just need a Father’s Day gift idea, Amazon’s one-day DEWALT deal is pretty spectacular. Anova dominates the sales charts, but in many ways (raw heating power, looks, size, software quality), the Joule sous-vide circulator is actually the superior product, and Amazon’s running a rare $30 discount on it, today and tomorrow only. The Joule White is a new model of the Joule, swapping the original’s stainless steel top and base with white plastic to match the rest of the unit. Otherwise, it’s exactly the same as the Joule White/Stainless and will usually retail for $20 less at $179. Today’s launch sale is a great chance to save even more. We live in stressful times, and on-demand shoulder massages could probably do us some good. This $20 shiatsu massage pillow includes four rotating massage nodes and infrared heating to knead your aching muscles. It even comes with a car adapter to ease tension during long road trips or just your commute after a tough day in the office. 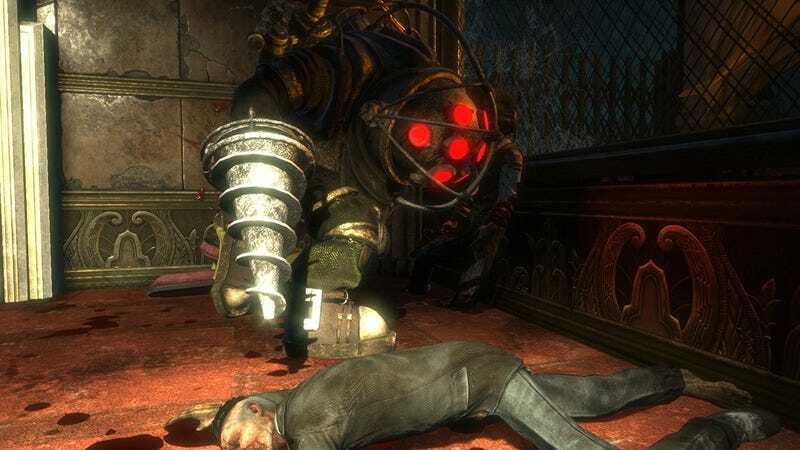 Whether you’ve played all the Bioshock games, or somehow missed out during the last console generation, the remastered BioShock Collection is a fantastic deal at an all-time low $25. That gets you three excellent games, plus all of their DLC, including the essential Minerva’s Den.